ACE Power and TVA have teamed up to help you better understand how you use energy. Complete a free online energy evaluation, and for more in-depth information, schedule an in-home energy evaluation, conducted by a TVA-certified evaluator. When you complete this do-it-yourself energy evaluation, TVA will send you a customized energy report to help you understand where your home is wasting energy – and how you can fix those expensive leaks. It addresses areas such as heating and cooling, lighting, water heating and electrical appliances. The tips are personalized based on your answers about your home and energy use. 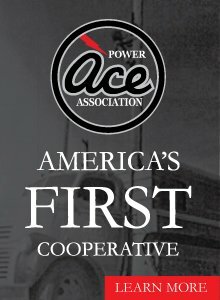 ACE Power and TVA are making it easier than ever to become energy efficient while also saving money. With the In-Home Energy Evaluation Program, you can reduce your power usage and receive a cash rebate and financing assistance (if applicable) for installing home energy improvements. Plus, you may be eligible for up-to $500 in rebates and convenient financing.